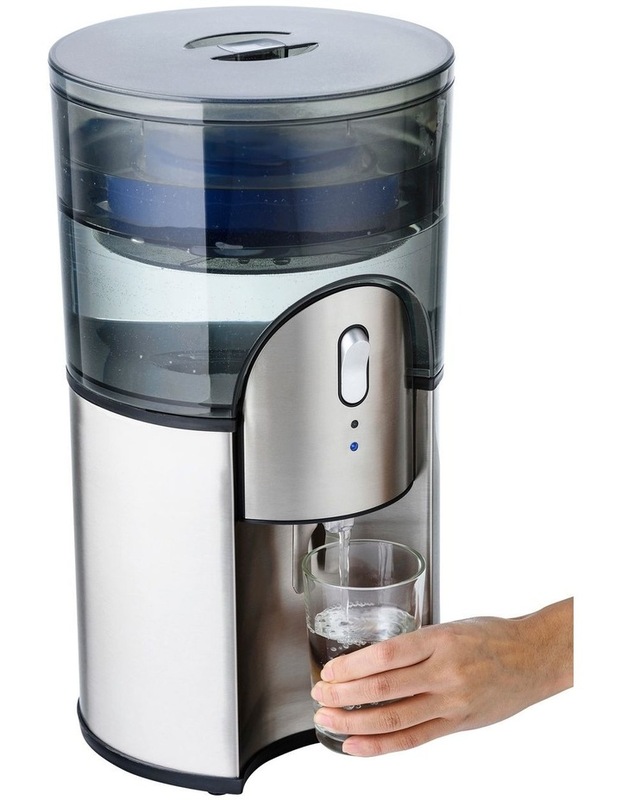 Ideal for families and small offices offering chilled and ambient filtered water.The Aquaport desktop filtered water cooler is a compact and modern family friendlysolution offering chilled & ambient filtered water for just a few cents per litre. Cools 2L per hour at 8CThe new & improved thermo-electric cooling technology provides the perfect glass ofchilled water every time.Simply filter your tap water with great resultsFiltration system provides great tasting water by reducing Lead, Copper, Chlorine, badtaste and odourLarge 6.5 Litre water capacity. Modern Stainless Steel BodyCost effective at just a few cents per litre*Environmentally friendly and cost-effective solution compared to buying bottled water. 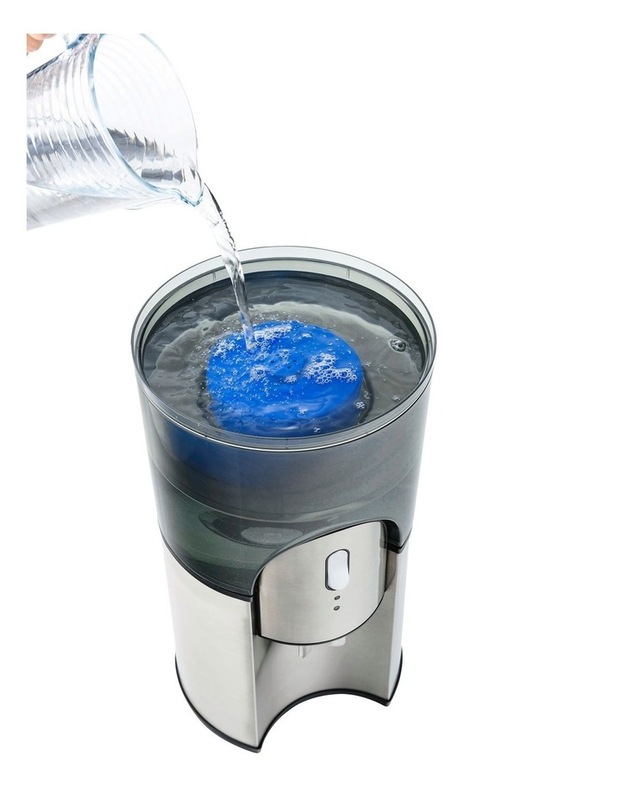 Blue LED light optionSet the mood and beautifully illuminate the filter bottle and dispensing tap.